Governor Herbert speaks with representatives from Salt Lake Community College’s Utah Aerospace Pathways program. 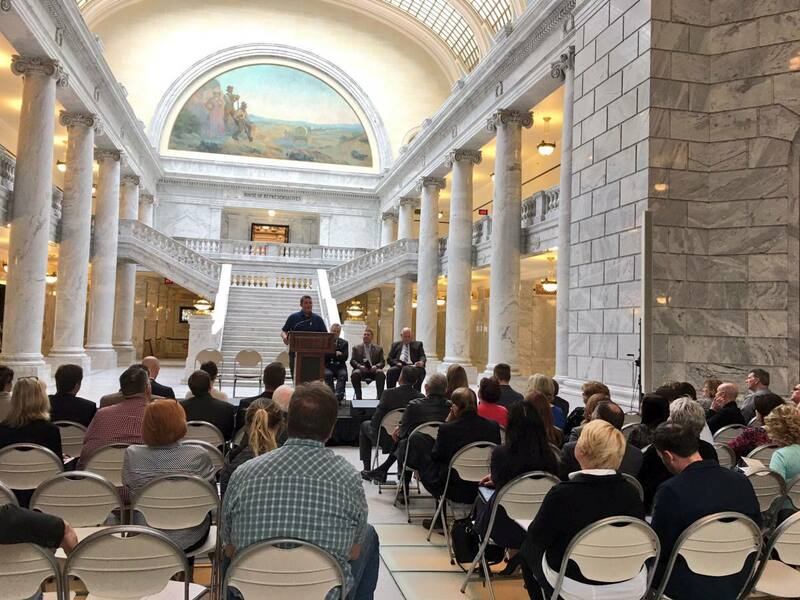 At the Capitol Rotunda on March 21, 2017, Governor Gary Herbert unveiled the Talent Ready Utah initiative, including the accompanying grant program. Talent Ready Utah grants, formerly known as the Utah Cluster Acceleration Partnership (UCAP), has more than $2.1 million in grant funding available for the purpose of developing and enhancing programs to meet industry needs, building career pathway programs, and providing work-based learning opportunities. 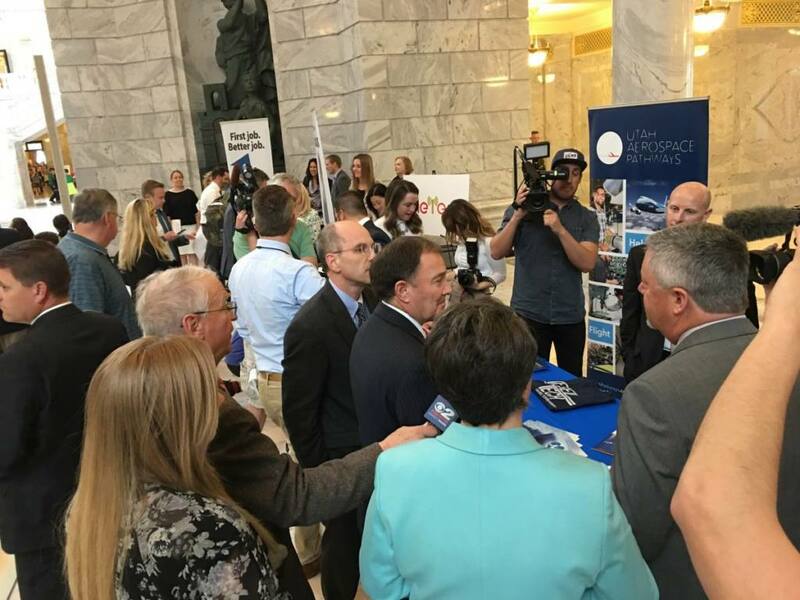 The Governor spoke at the event along with partner agencies (the Department of Workforce Services and the Governor’s Office of Economic Development) and Nathan Rose, a current student in Salt Lake Community College’s Utah Aerospace Pathways program. Nathan Rose, current student in Salt Lake Community College’s Utah Aerospace Pathways program, addresses the crowd at the event on March 21. Money for the grant program comes from the Department of Workforce Services’ job growth fund, which is dedicated by the legislature for the purpose of investing back into the workforce. Grants from this program have helped develop or expand more than 170 training programs, creating capacity for over 5,800 individuals to receive industry-recognized credentials.